New Hampshire is a small state but it has a lively real estate market. It struggled during the Great Recession, and its property market continues to do so. Nevertheless, if you want to find an escape from the hustle and bustle of big city life, the Granite State has a lot to offer. Here is some background information about New Hampshire's home values, population trends and mortgage industry that can aid in the study of New Hampshire's foreclosure processes. Home prices in New Hampshire's populated areas tend to be above the national average. Regions near the Canadian border are less densely populated and have lower prices. The overall state median price of a single-family home in the Granite State is approximately $250,000. This is significantly higher than the national average of $173,000. Although the state has high property values, incomes do a good job of paying for real estate. In fact, New Hampshire consistently has the highest median income in the United States. At last count, the figure stood at $76,000 on a household basis, which is about 30% above the national median. Such a high median income makes residents of New Hampshire less sensitive to steep home prices. Because the demand curve is inelastic, home prices have a tendency to move higher over time. Combined with good schools and a high standard of living, homes in New Hampshire are always in high demand. According to data from the New Hampshire Association of Realtors, the number of housing units being sold every year is on the rise. In the most recent year, the number of homes sold was up nearly 9% from previous data. 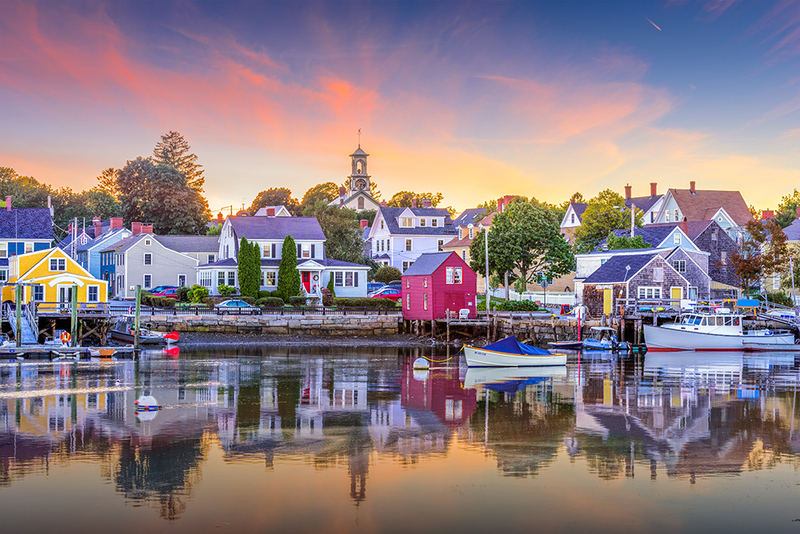 Because New Hampshire is a small state, there are less than 20,000 units sold every year, but the consistent increase year-over-year speaks well for the Granite State's property market. RealtyTrac, a property group that follows mortgage-related problems, estimates that New Hampshire has a foreclosure rate of around 1 home out of every 3,730. This is quite a bit better than America's average of 1 out of every 2,100. The real estate site Trulia displays a heat map of the United States, where dark green represents the country's lowest prices, while dark red shows very high property values. New Hampshire has lots of green, and this isn't surprising, given that the state is sparsely populated in the northern regions. Down south, near the Massachusetts border, yellow, orange and even red can be found. New Castle and Rye Beach display the darkest shades of red, and the city of Lyme has some orange. New Hampshire's high median income makes the state less income-sensitive to home prices. High median income makes New Hampshire residents less income-sensitive to the price of a home. In fact, it can be reasonably deduced that New Hampshire's income elasticity of demand for housing is one of the lowest in the country. This low income elasticity of demand for housing has a tendency to drive home values higher. There is always a high demand for quality housing in New Hampshire. This is the case because the state has a well-deserved reputation for having a great quality of life, good schools and enjoyable living conditions. Like most other regions of the United States, New Hampshire saw significant real estate problems during the Great Recession, which peaked between 2006 and 2008 in the Granite State. In 2005, the number of homes selling on the market began to decline. Then in 2006, the number of homes sold dropped by 18%, compared to the previous year. Also in 2006, the median selling price dropped by almost 2%. In 2007, the number of homes sold continued to drop, while prices also continued to decline. In 2008, the number of homes sold was just 10,208, according to the New Hampshire Association of Realtors. This was the bottom. Since then, the state's real estate market has been climbing back, and almost 18,000 homes were sold last year. Also in 2008, home prices in New Hampshire had declined enough for the median household income in both the United States and New Hampshire to be able to afford the median-priced house in the Granite State, according to the New England Public Policy Center. In 2011, the median home price reached a bottom of $201,700. The peak was $270,000 in 2005. Since reaching the low figure, the state's median home price has been steadily climbing back, but it has not yet reached the pre-Recession high. With residential home prices growing year-by-year, it should be less than a decade until 2005 prices are once again reached. During the Great Recession, the bottom fifth of the socioeconomic ladder in New Hampshire was paying 82.3% of their income for housing, according to research by the New England Public Policy Center. The national average was just 80%. For the top fifth, the figure in the Granite State was just 2.7%, compared to America's average of 4.8%. The state saw a sharp rise in homeownership from 1996 to 2003, with the rate jumping from 65% to 74.4%. In 2009 this rate peaked at 76% and has since slid to 71.8% in 2016. Local metro areas have seen an influx of people from outside the New England area who are taking advantage of one of the nation's stronger job markets. This strength comes from an increase in investment from the health care and insurance industries. As a result, New Hampshire's home prices have stayed well above the national median home price. Derry's population growth can be attributed to an influx of Boston area residents who wish to take advantage of a lower than average cost of living and cheaper home prices. 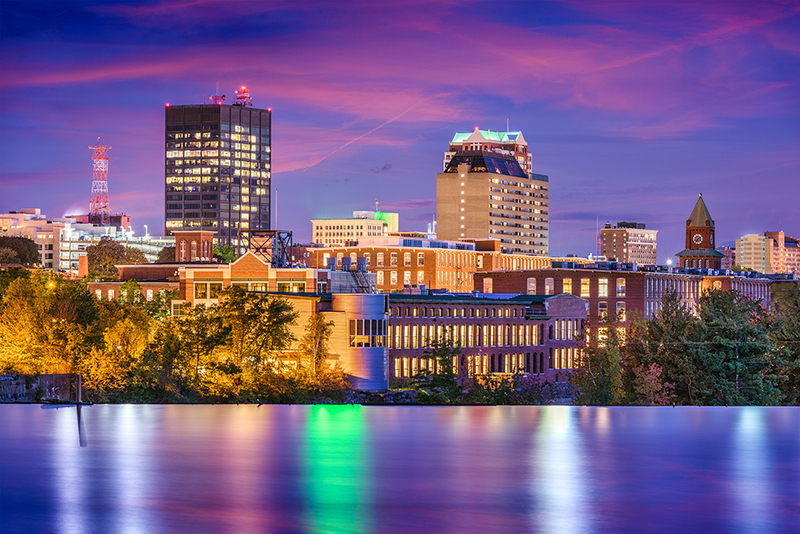 The largest city in New Hampshire is Manchester. Surprisingly, its population is just 110,000, which makes it pretty small by national standards. Nevertheless, it is only one hour from Boston by car along I-93. It has seen significant population growth in recent years. Manchester is home to several art venues, including the popular New Hampshire Institute of Art, a private non-profit art school. A local museum, the Currier Museum, displays some of the state's most prized works of art, from Picasso to Monet. The city has a minor league ice hockey team, the Manchester Monarchs, affiliated with the L.A. Kings. 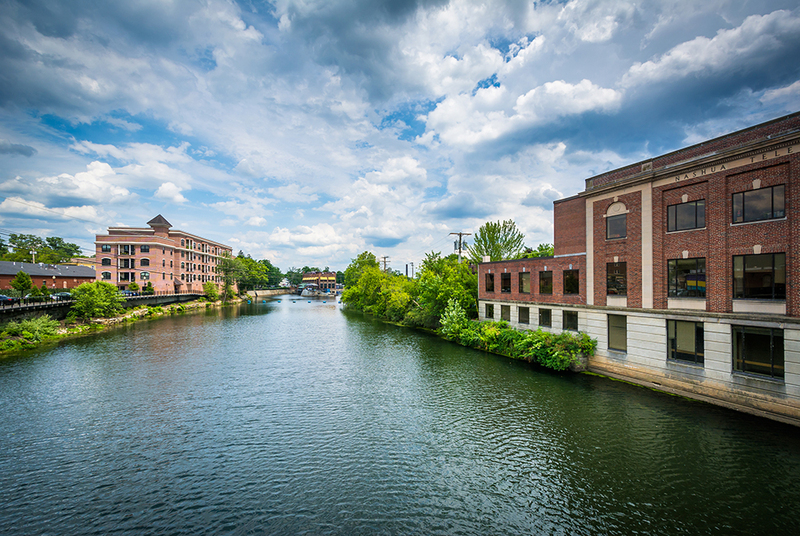 Manchester's economy is dominated by retail, manufacturing, and health care. Other sectors that provide jobs include finance and education. Segway, the manufacturer of the famous two-wheeled vehicles, is headquartered in Bedford, a suburb of Manchester. The median selling price in Manchester is $225,000. The U.S. Census Bureau gives us a median household income of $56,000. These numbers produce a price-to-income ratio of 4.02, which is decent, but not spectacular. 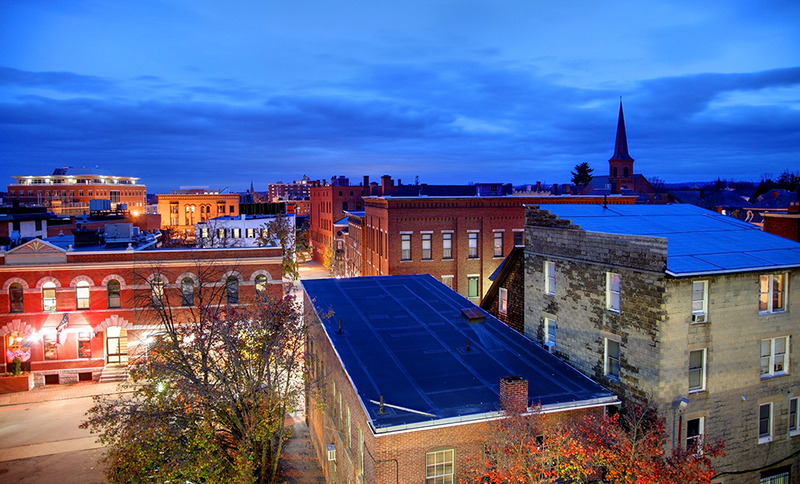 The second largest city in the Granite State is Nashua. Located just 5 miles from New Hampshire's border with Massachusetts, it is home to just 87,000 souls. Despite its small size, it has seen above-average increases in population recently. Jobs in the area are created by Hewlett-Packard, Dell, BAE Systems, and Oracle. Two hospitals are also major employers. Rivier University is located in Nashua as well. Popular sports include baseball, soccer, and basketball. The median home price in Nashua is $254,000. The U.S. Census Bureau reports a median household income of $69,000. Putting these numbers together, we see a ratio of 3.68, lower than Manchester's. Next up is Concord. Located 20 minutes north of Manchester by car, the city is home to the state's only law school, which is part of the University of New Hampshire. The city also has one of the oldest golf courses in New England, the Beaver Meadow Course. New Hampshire's state government is the biggest employer in Concord. Other providers of jobs include Steeplegate Shopping Mall, the town's largest hospital, and the local school district. Concord has a median home price of $210,000. Compared against a median household income of $57,000, we get a metric of 3.68, the exact figure calculated for Nashua. More affordable housing in New Hampshire will be found in Lancaster, the seat of Coos County. The area's economy is dominated by forestry, and tourism is also popular during the summer months. The county is New Hampshire's only area to form a border with Canada. 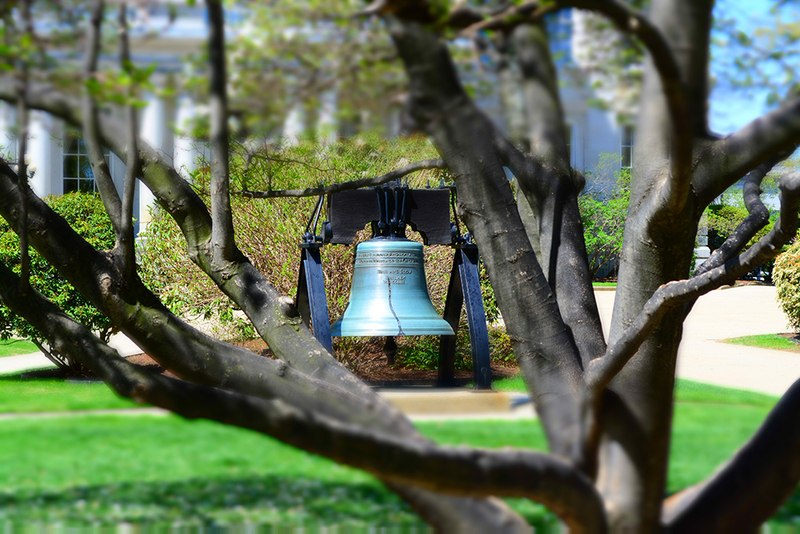 The median household income in Lancaster is $43,000. The typical home price in the area is $130,000. Thus, we get a price-to-income ratio of 3.02, the lowest calculation in our study. According to the United States Census an estimated 1,334,795 people live in the state of New Hampshire. The state has 8,952.65 mi² of land area, which gave it a population density of 149.09 per mi². Here is a list of cities, towns & Census Designated Places with more than 4,000 residents, with their estimated population as of June 2016 & the 2010 United States Census. For cities & towns with populations below 5,000 and Census Designated Places (CDP) where there was no population estimate available for 2016 the 2011-2015 American Community Survey 5-Year Estimates data was used. As of 2019 the conforming loan limit across the United States is set to $484,350, with a ceiling of 150% that amount in areas where median home values are higher. High local affordability makes the $484,350 ceiling apply across most the state for single unit homes. Dual unit homes have a limit of $620,200, triple unit homes have a limit of $749,650 & quadruple unit homes have a limit of $931,600. People buying premium properties in the Boston metro area have the following thresholds. People borrowing more than the above thresholds will require a jumbo loan. Jumbo loans typically have a slightly higher rate of interest than conforming mortgages, though spreads vary based on credit market conditions. The homeownership rate in New Hampshire is over seventy percent and never fell below that level throughout the recovery from the Great Recession. The most popular type of loan is a 30 year mortgage. Given that homes are quite affordable across the state due to high local incomes, 15 year fixed loans are another popular option which helps home buyers build equity faster and save on interest expenses. It accomplishes this goal by working with the federal government to provide safe and affordable housing for low-income people via the Section 8 Program. Under this service, a qualified homeowner pays a portion of the rent and utilities, while New Hampshire Housing pays the rest. As a general rule, the group requires applicants to earn less than 30% of the state's median income; although it does have waivers for as much as 50%. There could be a waiting list to receive one of these vouchers, and the wait time could be as high as 9 years. The Granite State also provides assistance for renters, including emergency services for renters who are in danger of losing their home. To qualify, a family cannot be living in publically-subsidized housing or be receiving Section 8 assistance. There are income and other financial guidelines to qualify for the state's renter's services. Counseling and other educational programs are available for first-time home buyers. There are on-line learning courses that teach not only home ownership skills, but also financial fitness, how to buy a used car, and more. The New Hampshire Housing Financial Authority has a convenient on-line search tool that is able to scan the Granite State for subsidized and non-subsidized homes that are vacant. Residents of New Hampshire who have questions about the state's housing services can call 211. Homeowner's insurance policies typically do not cover flooding. Most of the state of New Hampshire has a very low to moderate risk of flooding. Here is county-by-county classification. Most of the state has a very low eathquake risk. The following counties have a low earthquake risk: Belknap, Carroll, Essex, Grafton, Merrimack, Rockingham & Strafford. In addition to above-average real estate prices, New Hampshire also has high property taxes. In fact, the state is the third highest in the country. Residents of the state pay an effective rate of 2.05%. The national average is just 1.2%. Mitigating New Hampshire's high property tax rate is the lack of a sales tax. The state also has a limited income tax; only dividends and interest are taxed, while wages are exempt. With a combination of high property values and a steep property tax, residents of the Granite State pay roughly $4,900 every year to the property tax man. And that's a median figure; so 50% of homeowners in the state pay more than that. Home loans are recognized by New Hampshire law as being mortgage instruments. In addition, many mortgages in New Hampshire feature a "Power of Sale" clause that makes it easier to foreclose on defaulted properties. Finally, New Hampshire also recognizes mortgage instruments as liens on real property. This recognition allows non- judicial foreclosure procedures to happen. Foreclosures on homes with delinquent mortgages in New Hampshire are handled outside the court system. This is called the non-judicial process. By avoiding a judge or jury, the foreclosure process is fairly quick. In the Granite State, the entire process usually takes less than 2 months. In the event of a foreclosure, a notification of a public auction must be published in a newspaper at least 20 days before the sale, and the home is sold to the highest bidder. If the selling price isn't enough to pay off the mortgage, the home owner could be on the hook because New Hampshire law permits deficiency judgments. With a deficiency judgment, a lender can sue a borrower for the remaining balance on the mortgage. This means that a borrower's personal assets, such as bank or investment accounts, can be seized. Without a deficiency judgment, only the collateral stated in the loan agreement can be used to pay off the mortgage. Typically, this collateral is only the home itself. New Hampshire recognizes both judicial and non-judicial foreclosure procedures. However, the vast majority of foreclosure procedures that are conducted in New Hampshire are non-judicial foreclosures. Borrowers may in some instances attempt to redeem their properties. If a home is foreclosed upon using a judicial foreclosure procedure, the borrower may attempt to redeem a property. On the other hand, a borrower may not attempt to redeem a property if any of the three non-judicial foreclosure procedures described below are used. The borrower must first ask the court for the right to foreclose on a property. This process must take place in the same county as where the home resides. If the court agrees that the borrower is in default, the court will grant the borrower between 14-60 days to redeem the property. To do this, the court will ask the borrower to pay the delinquent amount plus any costs. If the borrower fails to do this, the court will issue a decree to sell the house. A notice of sale must be written and recorded at the court of record for the proceedings. After this is done, a copy of the notice must be mailed to the borrower at least 25 days before the proposed sale of the house. Once this is done, the same notice must be published in a local newspaper at least once a week for three consecutive weeks in a newspaper that is published in the same county where the property resides. The first publication of this notice must appear at least 20 days before the proposed sale of the house. The notice must describe the time, date and place of the sale. It must also describe the amount of the default as well as "warn" the borrower that his property is going to be sold. It must also mention what rights he has to stop the procedure. The foreclosure sale must be held at the site of the property, unless there is specific language in the Power of Sale clause that specifies a different location. During the auction, anyone may bid any amount to start. This means that the lender and the borrower could realistically attempt to purchase the house. The bidder who bids the most wins the house. As a result, there are no reserve prices set for the homes. The seller has up to 30 days to attempt to recover a deficiency judgment. Through a "Power of Sale" procedure. If the power of sale clause has specific language that describes how the sale should occur, that language will dictate how the sale happens. Otherwise, follow the steps for selling a home as outlined above for judicial foreclosures. The lender must first peaceably enter onto the property. Afterwards, the lender must continuously and peacefully posses the home for one year. And an accurate description of the property. The notice must be published at least once a week for three consecutive weeks with the first publication appearing at least 6 months before the borrower's redemption rights expire. Finally, New Hampshire lenders may also foreclose through a process known as "Possession and Publication." The lender must first peaceably obtain possession of the home. After a certain day, the property will be held for default on the mortgage and that the borrower's rights to the property will become foreclosed upon. This notice must be published for 3 consecutive weeks in a newspaper that is published in the same county as where the home resides. It must state the borrower's name, and the lender's name. Finally, it must also state clearly the lender's intention to keep the property physically in his possession for at least one year from the date of the first occupancy in the home.